Vino Amores, the wine tasting club that I belong to, meets once a month. In addition to bringing our appreciation for fine wine, we also bring an appetizer. I usually make some kind of dip that goes with crackers. 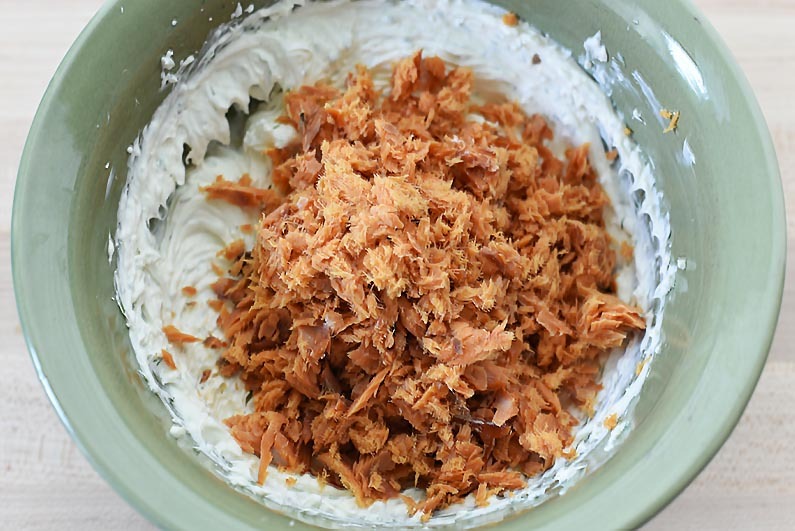 Last month, I made a tasty Smoked Salmon Dip. 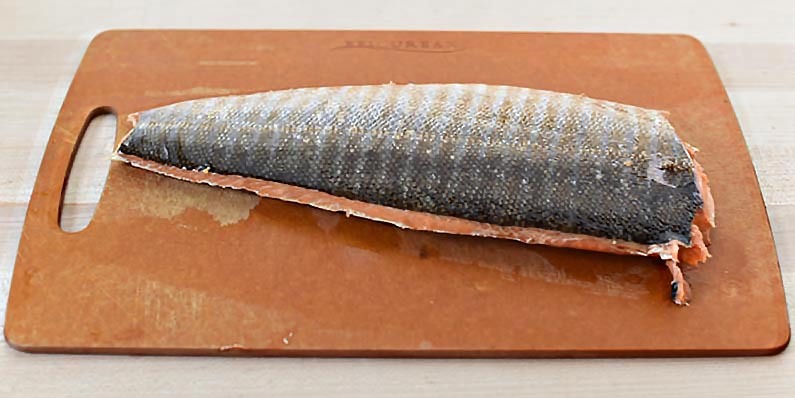 I got the recipe from a little shop in Ketchikan, Alaska when Mom and Dad and I were on our Alaskan cruise years ago. My Smoked Salmon Dip was a big hit at wine tasting. 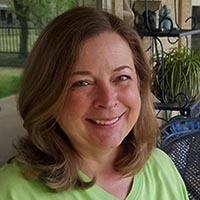 The dip is easy to prepare, and I usually make it a few hours ahead or even the day before in order for all of the flavors to mix together. 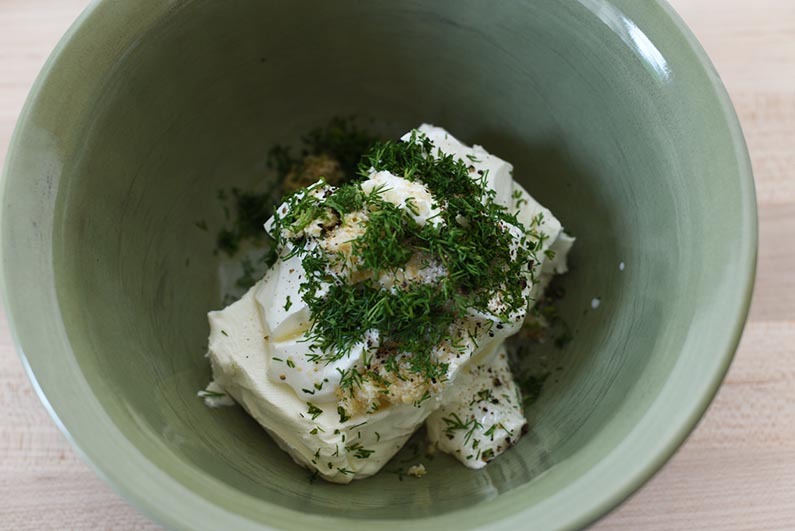 The recipe has just the right balance between the dill, lemon, and horseradish. 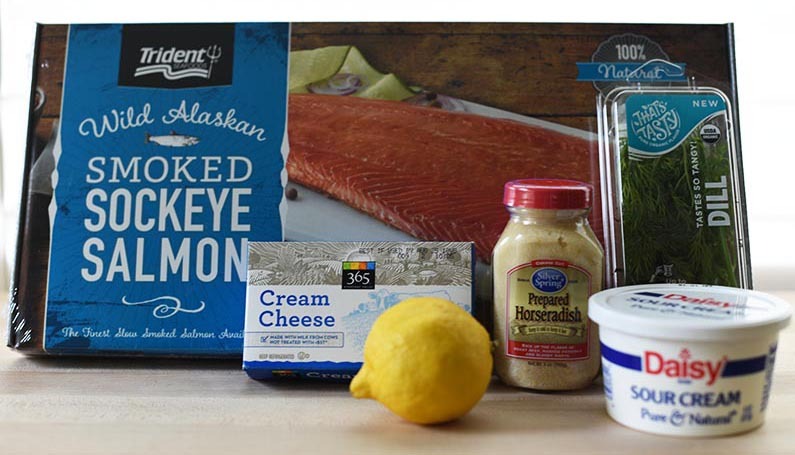 Put all of the ingredients except the salmon into a medium bowl. 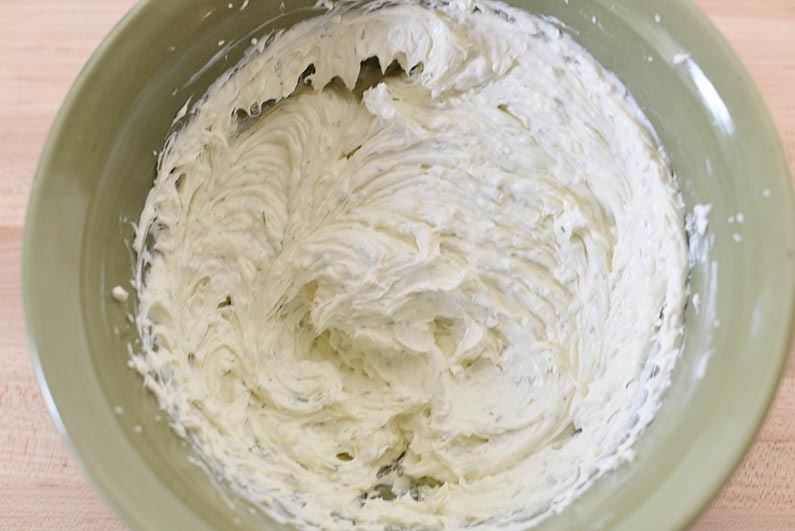 Cream the ingredients using an electric mixer. I used a smoked salmon filet that came in a foil package. You can, also, use smoked salmon from a can. Be sure to drain any liquid from the package or can. 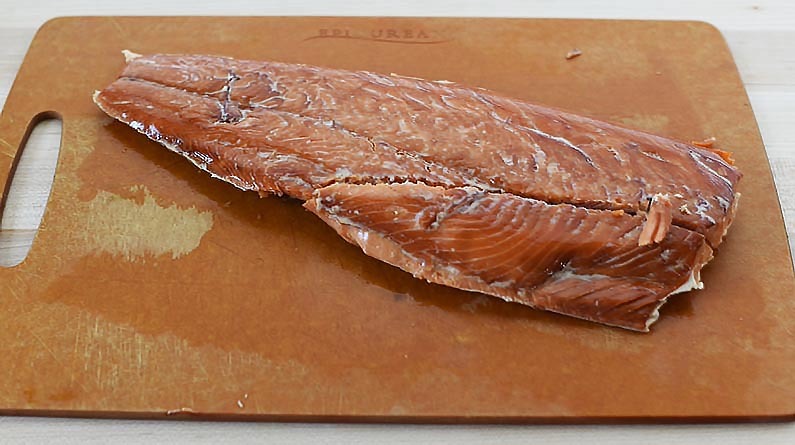 Remove the skin from the smoked salmon and weigh out 4 ounces for the dip. Using a fork, shred the smoked salmon and add it to the other ingredients. Completely stir the smoked salmon into the other ingredients. I placed the leftover smoked salmon on a plate with a bit of dill sprinkled over the top to accompany the dip. 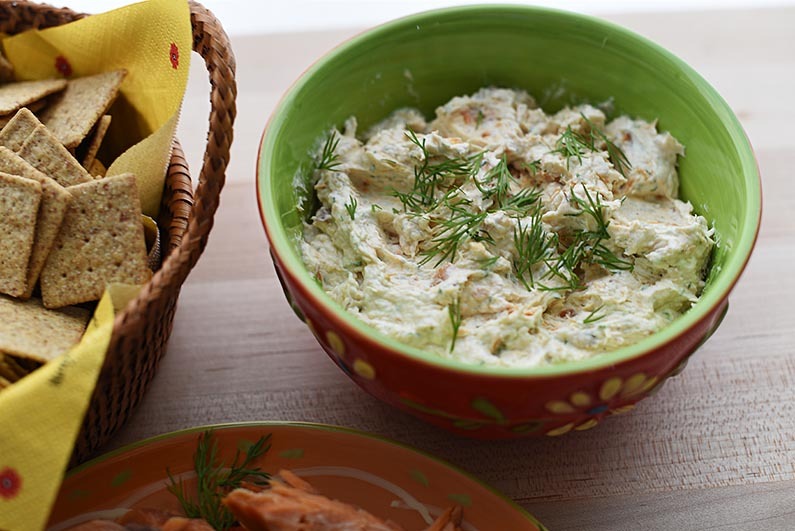 After spreading the smoked salmon dip onto the cracker, top the dip with a bite of salmon for an extra burst of salmon flavor or enjoy the cracker and dip as is. Either way is absolutely delicious. 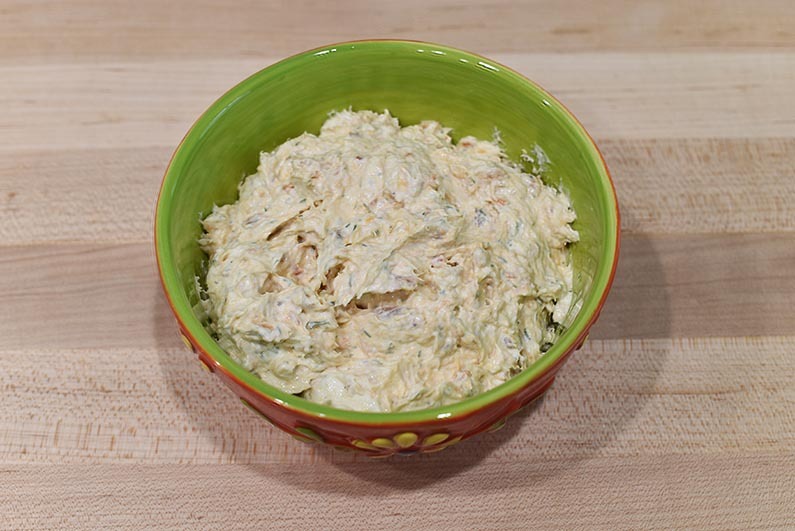 This Smoked Salmon Dip is easy to make and delicious to eat. I hope you enjoy it as much as my wine tasting club. Cheers!